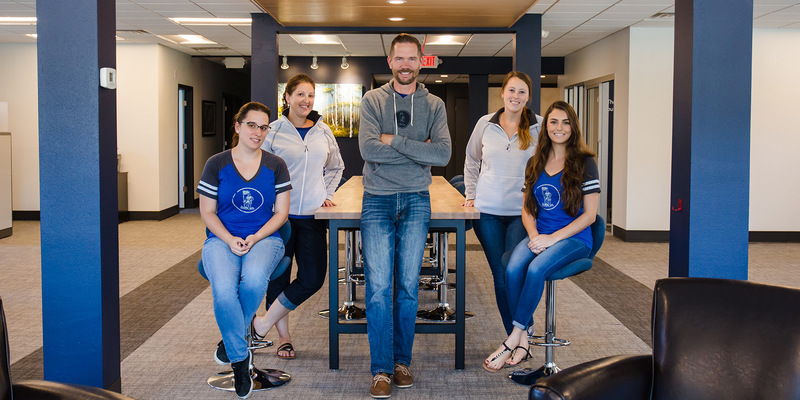 When Magellan Promotions outgrew its Wauwatosa space in 2017, CEO Michael Wolaver sought out a more central location – one that would accommodate his employees who live dispersed throughout the greater Milwaukee area, yet still offer a neighborhood setting. The positive buzz around West Allis was also encouraging. Michael says when he was contemplating his next location, he consistently heard about how West Allis is really up and coming as a community. As an added bonus, moving to West Allis meant Michael could bike to work. Michael also calls out West Allis Manager of Community Development Patrick Schloss, for being exceptionally helpful throughout the entire process, from initial contact to move in. “He answered all of our questions and gave us good opportunities to take advantage of grants,” Michael says. Thankful for the support they received when first coming to the community, Magellan Promotions contributes to local businesses as often as they can. At their open house, they purchased beer from Westallion Brewery and they frequently order lunch from the West Allis Cheese and Sausage Shoppe, as well as other local restaurants. They also sponsor local charities and volunteer in the community, supporting Children’s Hospital, The Women’s Center, and the Humane Society, to name just a few. 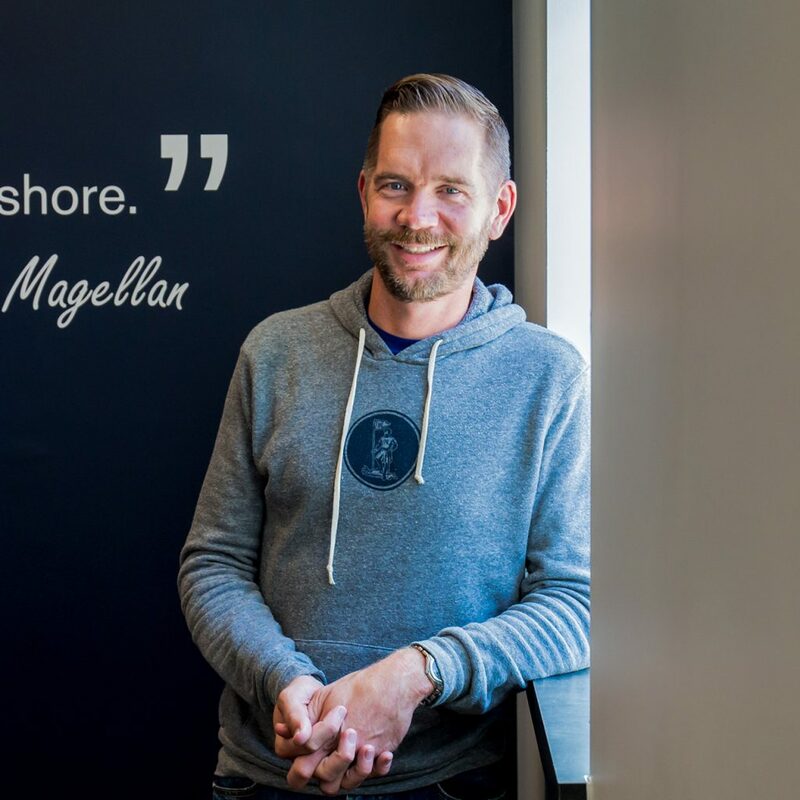 Now settled in their open-concept workspace, Magellan Promotions forges onward doing what they do best: helping their clients find memorable ways to connect with their individual markets. “Everything starts and ends with service,” Michael says about their approach to each project they take on. With an incredibly diverse catalog of over 800,000 promotional products, Michael and his team meet with clients to determine the best, most effective items to promote their businesses, whether they’re an organization, an event, a company, or a school. Providing customized solutions to their clients’ challenges, Magellan Promotions sources branded products such as mugs, pens, t-shirts, and the most trending product for the college network right now – keyboard stickers. Magellan Promotions works with over two hundred schools across the country. “We’re running stickers non-stop for colleges,” Michael says with a smile. Their success is well-earned, however. In addition to providing unmatched customer service, they offer a vast portfolio of case studies with which to impress their prospective clients. They’re so on top of their game that the company has been growing at an average of 25% per year for the past seven years. Although the name Magellan is simply a nickname Michael picked up in college due to his best friend being named Ferdinand, it happens to work exquisitely for him as a business owner. The team at Magellan Promotions welcomes the opportunity to meet any creative challenge head-on. Magellan Promotions is a member of the Fair Labor Association, ensuring products are made for a fair wage and under safe working conditions. A proudly paperless company, they recommend products that are eco-friendly and made from recycled material.